The ultimate Dinner Concert party continues! It's happening oceanside at Taino by the Sea, Saturday April 27th, 2019 as the Uppercut 242 Dinner & Free Concerts continue at the ultimate Oceanfront party spot, Taino by the Sea. There'll be a super special Dinner Menu, cool refreshing drink specials and loads of waterside fun. 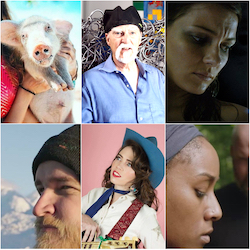 The ultimate Dinner Concert party celebrating Spring 2019 is On! 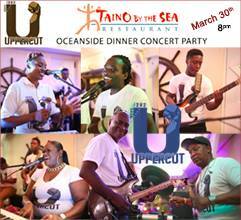 It's happening oceanside at Taino by the Sea, Saturday March 30th, 2019 as the Uppercut 242 Dinner & Free Concerts continue at the ultimate Oceanfront party spot, Taino by the Sea. There'll be a super special Dinner Menu, cool refreshing drink specials and loads of waterside fun. REPRESENTING THE FUTURE CITY GIRLS "TWERK" "BLOW A BAG" "TAKE YO MAN"
FLIFF on Location: Grand Bahama Island – Take 4! March 16 and 17 at Pelican Bay Hotel. 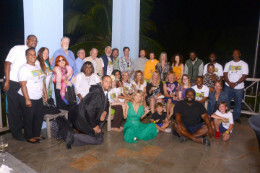 In 2011, the Fort Lauderdale International Film Festival (FLIFF) entered into a three-year partnership with the Bahamas Ministry of Tourism, to present a mini fest on Grand Bahama Island. 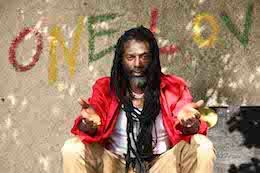 Organizers of the upcoming Buju Banton: Long Walk To Freedom concert confirmed Wednesday that their All-Access tickets are sold out. Paradise Productions, which is staging the concert, said VIP and Platinum tickets are also moving fast. The Academy will once again host live Oscar® viewing parties in New York and London for its members and invited film industry guests on Oscar Sunday, February 24, 2019. The Oscars® will be televised live by the ABC Television Network at 6:30 p.m. ET/3:30 p.m. PT. In a world filled with heartache and heartbreak, nothing provides relief faster than a good belly laugh that rumbles from down deep within and doesn’t stop till it roars. 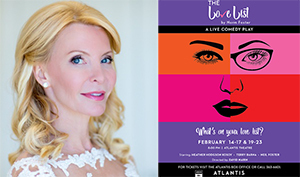 A play opening February 14 at Atlantis provides just that kind of laughter, a guarantee or your money back cure-all for anything that’s gone wrong. 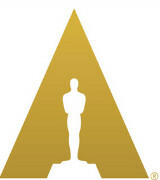 Oscar® producer Donna Gigliotti, and co-producer and director Glenn Weiss, today announced the first round of presenters for the Academy Awards®. The show will honor the incredible slate of nominees – from blockbusters to independent films – and embrace the diversity of the global movie-going audience. The Oscars® airs live on the ABC Television Network, February 24, and will be broadcast in more than 225 countries and territories. The new year started off with a bang for Zamar productions as the company was responsible for the world-class lighting, sound and staging provided for four major concerts scheduled around new year's celebrations at two of the major hotels in the country. 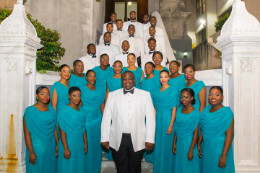 Now into its fourth week, word has been spreading through the entertainment community that the Nassau Night Market (NNM) is a dynamic platform for upcoming artists to perform and gain exposure. This week, the NNM stage is being taken over by The Art1st and Geovanni Robinson.